Jewel-tone gems of violet, purple, aqua and fuchsia are artistically arranged in the huge, satin-finish gold amulet. The toggle on the long gold chain can be used to convert Grandeur to a shorter necklace. Vivid violet emerald-cut stones are sized to flatter the elaborate pendant. 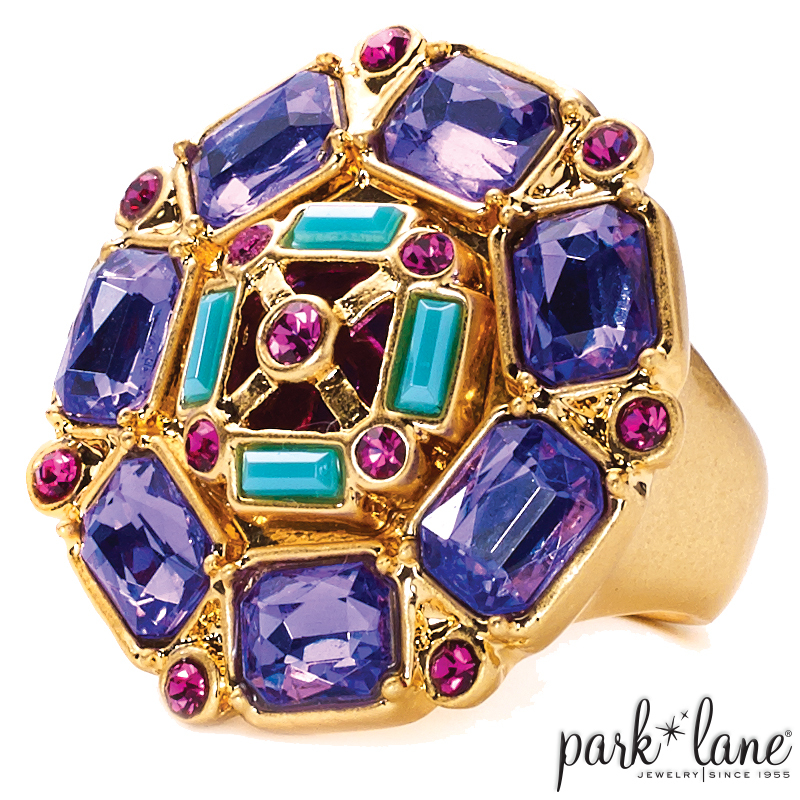 Amethyst purple jewels, aqua gems and fuchsia crystal accents adorn the bold gold ring. Bracelets: Signature in amethyst and pink.